This must be award season. 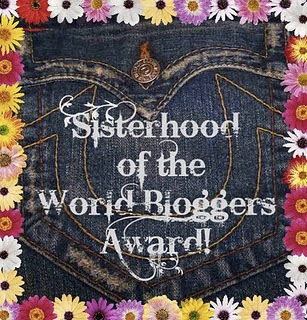 I have been honored once more, this time with the Sisterhood of the World Bloggers Award! I want to thank Elizabeth of Food and Thrift Finds for this honor. I am truly flattered to be in such wonderful company! The best part of getting this award, is that I get to choose some very lovely, talented bloggers to join the sisterhood! Thanks again Elizabeth! Proud to be in the Sisterhood! Copy and paste, and pay it forward to as few, or as many SISTER bloggers that you feel deserve it. No rules apply...just mention who it came from: Thanking you in advance! Thank you for mentioning me re: the award I gave you. You deserve it well. We are after all, the Sisterhood of the World bloggers! Congratulations on your award, Kathy! It is so deserved. I thank you so much for passing it on to me.I am so thrilled and honored! Thanks so much, Kathy! I'm honoured to be included. Your award is well deserved. 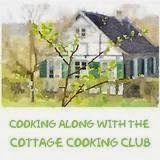 I always enjoy reading about your cooking adventures. And your kind words of support on my blog were greatly appreciated! Congrats to you & thanks for choosing me! I need to get busy with a fun award-winning blog post! !